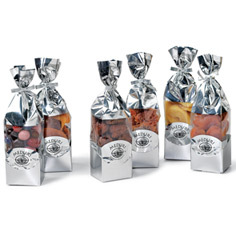 Sampler Sets from Meduri World Delights are the perfect way to taste a variety of different delicious dried fruit products! 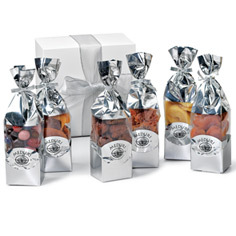 Our samplers are just big enough to fall in love with new flavors, while small enough to enjoy a wide assortment of succulent dried fruits. 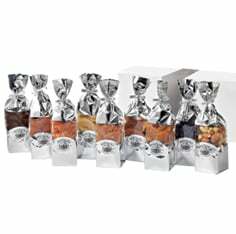 Meduri Sample Sets range from sets of three packets all the way up to sets of nine packets. 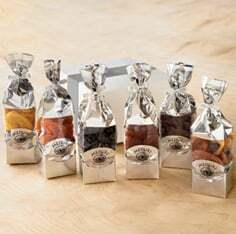 As always, our all-natural dried fruit is created in small batches, which locks in the flavor and makes for a soft, moist texture. 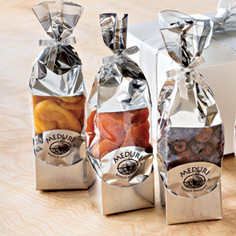 When you order dried fruit from Meduri, you can be sure that you'll receive unsulphured dried fruit harvested at the peak of ripeness. 6 delicious tastes! 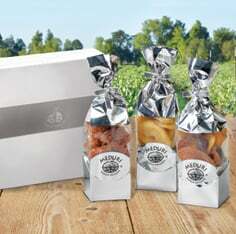 Choose gift boxed or not. 6 delicious tastes. 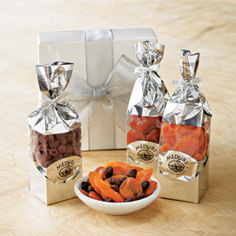 Choose gift boxed or not.